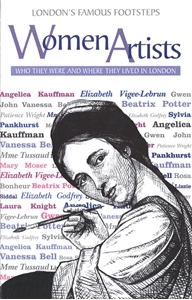 Pocket-size map/guide with biographies and portraits of 17 women writers who lived in the capital, plus a street plan of central London showing locations where they lived and/or worked. The selection ranges from Jane Austen, who often stayed with her brother just round the corner from where Stanfords’ shop is now, to Virginia Woolf’s houses in Bloomsbury. Each artist has a panel with a portrait, biographical notes, plus directions to the location(s) associated with her life and work. An additional panel provides notes on organization and publications connected with women writers. Also provided is a list of 17 more women writers who lived and/or worked in London.